With annual mobile app downloads set to increase from 38 billion in 2011 to nearly 183 billion in 2015 advertising your app is just as, if not more important, than making it in the first place. “This is one of the many reasons I decided to embark on this journey.” As an entrepreneur for so many years, sometimes it is hard to secure capital. It is extremely costly to market an app. One press release itself can cost $450-$600. Google’s admob, although a wonderful platform, could be very expensive for people with a limited budget. Admob is serving ads on mobile devices and if your budget is limited you will not receive much coverage for your app, says Singer. Singer started his professional career in investment banking. He sold his first dot-com company, an online music school called Interactive Music (co-founder), in 2000. 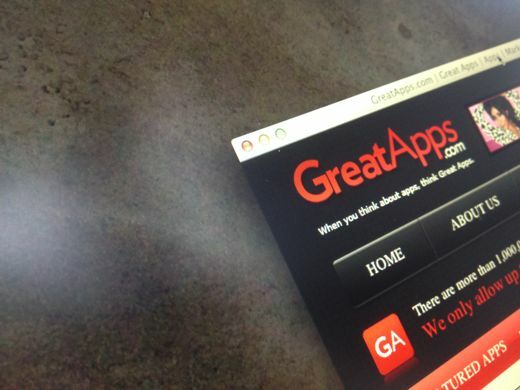 The GreatApps.com portal allows only a limited number of apps to enroll on a daily basis. It only allows up to 15 new apps per day to be displayed. Apps that are on the GreatApps.com site will be there for an entire year. It’s a destination site – such as a blog or publication – where users can visit daily to learn about new apps in one place. There are thousands of new apps that are available for download daily, so by focusing on just 15 per day (plus 12 months of other promotion) this gives the app owner/developer direct eyes. GreatApps.com charges less than $1,000 for one year of app marketing. That is less than $3 per day or $83 per month for marketing that may otherwise costs upwads of a few thousand dollars via a PR firm. Celebrities are already using GreatApps to market their apps such as Snooki’s ‘Snookify Me!’. The site already has some companies with clout — Encyclopedia Britannica is one of the many brands using it. It goes a bit further, as well, by allowing apps to apps have a profile with description/screenshots and demo video, akin to a Facebook profile. But with the cost of innovation decreasing rapidly, is GreatApps a really unique business model, or could it be easily replicated? After all, there are numerous apps discovery services, such as the notable Appsfire, or Kinetik and its recent web-based addition. “If the site was called CoolApps.com or FunApps.com it takes away the marketing angle. Part of what makes us in the branding aspect of the site. Meaning our motto is: “When you think of app, think great apps”. This is something that sticks in people’s minds.” Its an easy name to remember and brings people back to the site, added Singer.